Seems to be additional tape here, am I crazy? asked how much that partial refund was. Full refund received. My concern comes from the instructions which indicate, there should be tie downs for the hood, trunk, and another attachment for the doors. So if an item arrives missing the tie down for the hood and the attachment for the doors, with the hood audibly opening and closing, is it still new? All this plus the car was slightly dusty and the box with a torn flap. 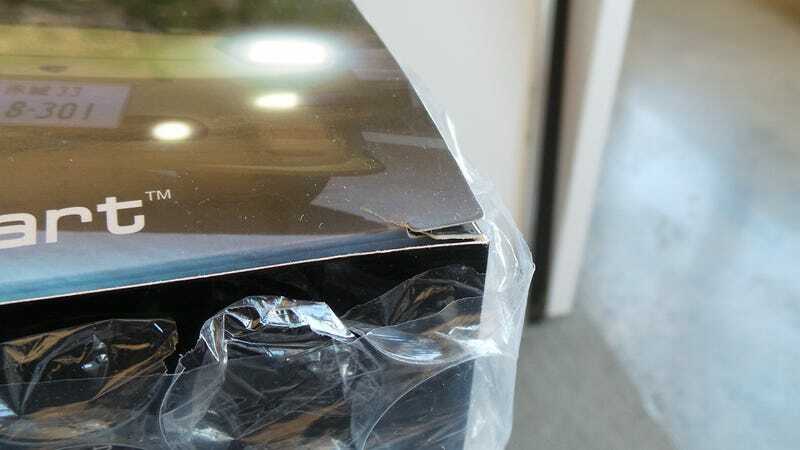 Can you see the spots were the paint is missing from the hood opening and closing during shipping? Update: 2nd Purchase refunded. The replacement car apparently had issues as well so I just opted for the offered refund. But I digress, is there no NEW, untouched AutoArt 75966 anywhere in the world? I know the AE86 is being re-issued, what are the chances this might be?